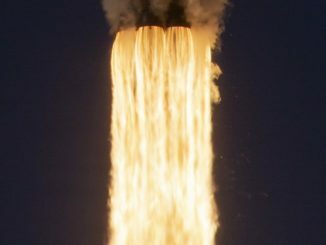 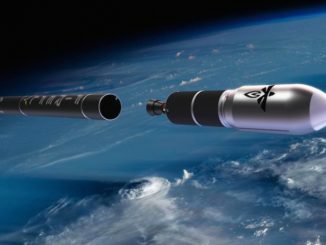 The first of two launches by SpaceX this week lifted off Monday, Dec. 3, from Vandenberg Air Force Base in California carrying 64 microsatellites and CubeSats to an orbit more than 350 miles (575 kilometers) above Earth. 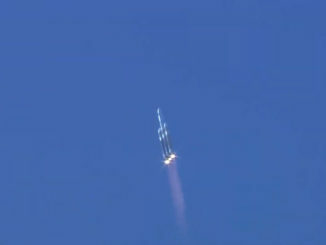 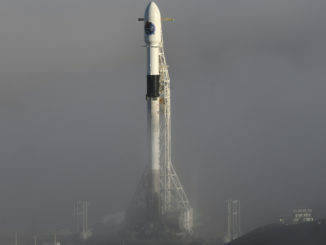 A SpaceX Falcon 9 rocket was raised vertical at Space Launch Complex 4-East at Vandenberg Air Force Base in California on Sunday ahead of a planned liftoff with Argentina’s SAOCOM 1A radar observation satellite, and the first landing of a SpaceX booster on the U.S. West Coast. 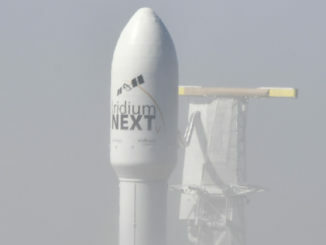 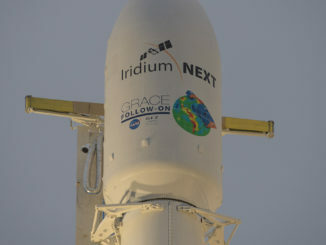 SpaceX’s Falcon 9 rocket rolled out to its launch pad at Vandenberg Air Force Base, California, on Monday, one day before its scheduled liftoff carrying seven satellites into orbit on commercial communications and climate research missions. 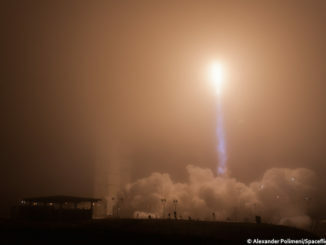 A layer of fog intruding on Vandenberg Air Force Base in California kept nearby observers from seeing any sign of Saturday’s predawn launch of an Atlas 5 rocket carrying a robotic NASA probe to Mars. 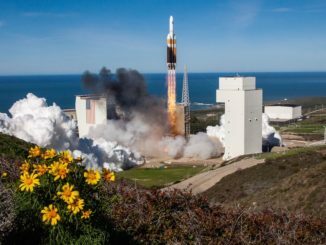 The only images of the Atlas 5’s fiery takeoff came from remote cameras placed at the launch pad, or from distant viewing points away from the poor visibility. 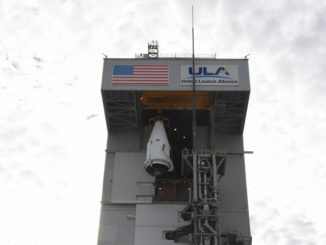 Towering more than 20 stories tall, the 8-million-pound mobile gantry at the Atlas 5 rocket’s launch pad at Vandenberg Air Force Base, California, was retracted into position late Friday for liftoff of NASA’s InSight mission to Mars. 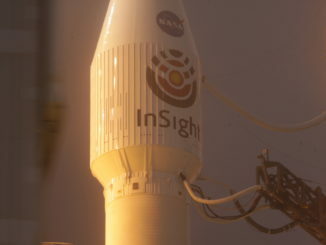 Ground crews at Vandenberg Air Force Base on California’s Central Coast hoisted NASA’s InSight Mars lander atop a United Launch Alliance Atlas 5 rocket Monday, kicking off nearly two weeks of integrated tests and checkouts before the probe’s interplanetary launch window opens May 5.